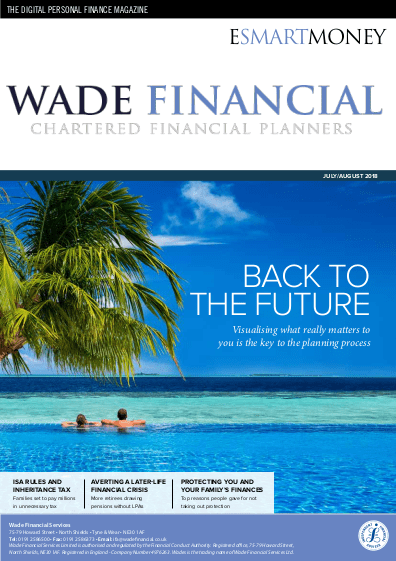 Welcome to Wades, a financial planning company that thinks differently about money. How? Well, we believe the truth about money is that it’s simply a means to an end. So we concentrate on that end: your aspirations, goals and family security. After we’ve established what you want to get out of life, the money part of the equation really takes care of itself. If you think it sounds simple you’ll be pleased to hear that in reality it actually is. Browse our site to discover more about our enlightened approach to personal financial planning. You never know, you might also discover something about yourself along the way. or we could let Ricky and Moyra Flood tell you how working with us has changed their lives for the better.